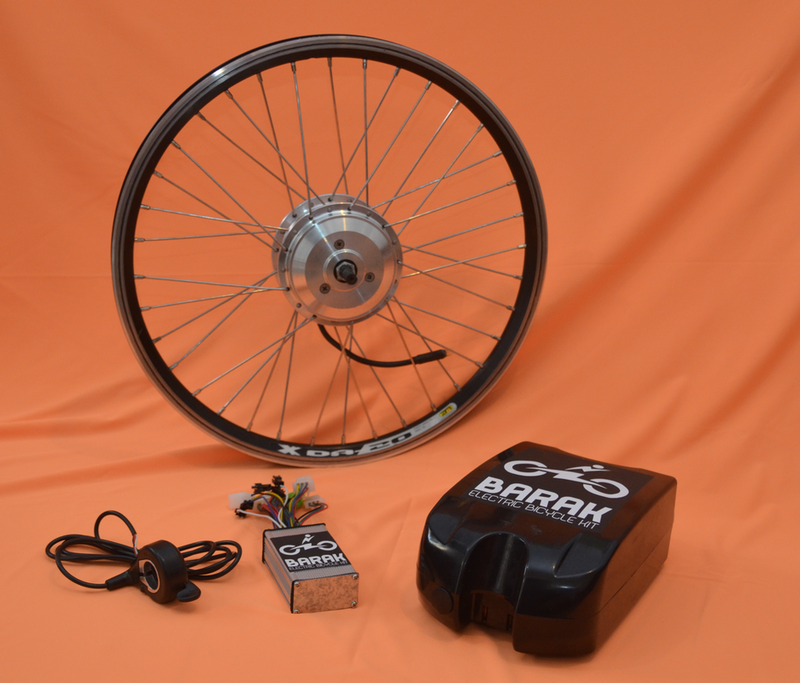 Micah Toll’s Barak Electric Bike Conversion Kit turns ordinary bikes into electric ones. Toll, a mechanical engineer who wrote a do-it-yourself e-bike guide, says with seven years in the e-bike industry, he’s seen the best and worst. With that knowledge, he wanted to create a mid-range e-bike kit with a balance of quality and cost. Electric bikes aren’t picking up speed in the U.S., but sales are surging in Europe, according to The New York Times. It doesn’t help that e-bikes are regulated like motorcycles in states like New York. But another reason might be the price — most e-bikes run well into the thousands price range. Toll, who has been teaching people how to build their own electric bike for years, launched a Kickstarter to help make e-bikes more mainstream. Instead of flat out buying an e-bike, conversion kits are a good option for low-cost alternatives. There are a handful of e-bike conversion kits available right now at budget and high-end prices. Hill Topper offers kits ranging from $399 to $1,195. The latter’s range is 40 miles, while the $399 version’s range is 8 miles. The $862 conversion kit from E-BikeKit will get you a 20 MPH top speed and 12 to 22 mile range. With six days to go, Toll’s conversion kit doubled his goal and reached $24,214 on Kickstarter. He’s created a 350 and 500 watt kit, both offering the same range, about 20 to 30 miles, and a top speed of 18 to 20 MPH. The difference is the power and acceleration riders will feel between the high- and low-powered kits. The 500 watt version has better acceleration and hill climbing performance. The kits come with four parts that can be bolted onto any bike: a hub motor wheel, battery, controller and throttle. It takes about 15 minutes to install. Depending on the wheel size and battery power, the kits cost from $585 to $655. Turning off the battery turns the e-bike into a normal bike that you can pedal without any friction. Toll says he’s working with suppliers in Asia to manufacture parts to his specifications, but will be handling the wheel building process himself. He’s waiting until the Kickstarter campaign ends to measure the demand of his product but thinks he will likely end up talking to an established e-bike conversion kit company to offer a mid-range kit like his for consumers.